The disease should have broken her, instead it gave her strength. Princess Kindar of Anost dreams of playing the hero and succeeding to her mother’s throne. But dreams are for fools. Reality involves two healthy sisters and a wasting disease of suffocating cough that’s killing her by inches. When her elder sister is murdered, the blame falls on Kindar, putting her head on the chopping block. No one who survives eighteen years of choke lung lacks determination. A novice wizard, Maladonis Bin, approaches with a vision—a cure in a barren land of volcanic fumes. As choices go, a charming bootlicker that trips over his own feet isn’t the best option, but beggars can’t be choosers. Kindar escapes with Mal and several longtime attendants only to have her eyes opened that her country faces dark times. Her mother’s decision to close the prosperous mines spurs poverty and joblessness, inciting rebellion and opening Anost to foreign invasion. 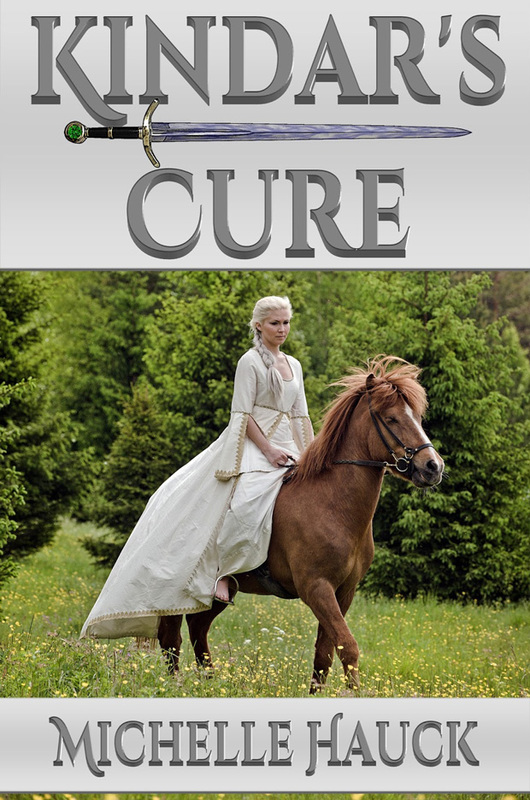 As Mal urges her toward a cure that will prove his visions, suddenly, an ally turns traitor, delivering Kindar to a rebel army, who have their own plans for a sickly princess. With the killer poised to strike again, the rebels bearing down, and the country falling apart, she must weigh her personal hunt for a cure against saving her people. Kindar held herself motionless in the platform bed and willed clenched muscles to contain her ever-present cough. A warm breeze carried the scent of peonies and early roses through the balcony door. It brought a tickle to her throat, forcing her to focus on light from the night candle as it played over the wood of carved furniture, displaying silk and brocade fabrics. On the walls, paintings and tapestries were thrown into shades of gray, their colors muted. The flickering light cast dancing shadows over her exposed skin and that of the man beside her. So much rode on her mother’s decision today. She squeezed her eyes shut. Weakness must be ignored. She must stay aloof and above it all. No one who would sit on the Golden Throne could afford to show imperfection. His bare arm stole around her waist. She flinched. The amore’s unasked-for gesture came like the answer to a lonely prayer. His arm tightened, and her stiffness evaporated, the mask dissolving to be replaced with softness. Afraid to move and break the moment, she let his arm drape around her. The first coughs loosened her congestion and triggered more. Mouth wide, she struggled to clear her throat and draw in air. The hacking only intensified. Her arms flailed as she struggled. The amore grabbed her, pulling her upright against him. The door flew open so hard it rebounded from the wall. Lindy, her nurse, bustled in and gave the bell rope a pull as she passed. She scurried to the bedside, cursing her arthritic knees as she lit a stick of incense from the night candle. The amore held Kindar with a strong arm while Lindy waved the incense under Kindar’s nose to let the herb smoke work. Kindar gripped the sheets and pretended not to hear. Lindy jabbed a finger at the amore. “Get out, you.” She waved her hands. “Shoo. Go back to your place.” With a glance at Kindar, the amore slid from the bed to calmly gather his clothes. He hugged the side of the doorframe as Duchess Clotilde swept in, summoned by another servant. Kindar sighed. “Go. All of you. I want to be alone.” For once, Lindy retreated from the room with only a mutter about her knees, leaving the incense burning in its dish. Clotilde remained in her curtsey. “Yes, Highness.” She rose with difficulty, hands gripping her skirts. “Highness, I beg you to see the wizard.” The duchess lowered her eyes to the floor, bit her lip, and began to back from the room. A ghost of a smile flitted across Kindar’s face. “Thank you. I believe I can sleep now.” The duchess departed. Alone in the quiet room, Kindar stared into the gloom. The choke lung ruined everything. If not for it, would she be the heir? All knew the disease was a curse from the Unnamed Gods, a sign of unworthiness. Not satisfied with trying to claim her life, the choke lung proclaimed her unfit for all to see. She could not afford to appear any weaker by flouting the unspoken rules or protocols of court. It forced her to guard every word she spoke, even to her servants. It made her a joke and placed her always as an afterthought. Can they not see the gods are mistaken? She rolled over to resume watching the candle. No matter how she tried to push the worry away, her mind rebelled, keeping sleep at bay.